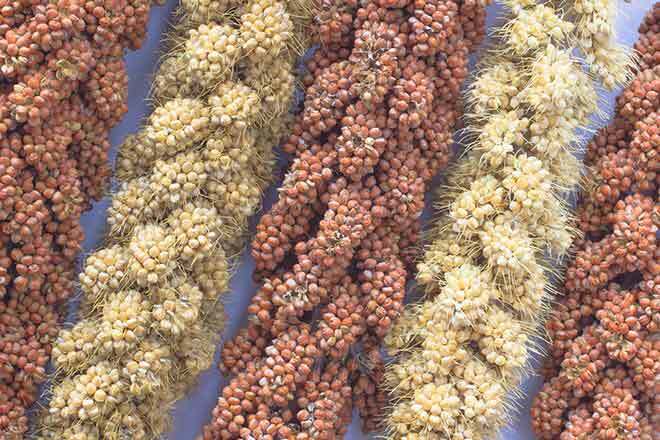 All millet producers and first handlers are invited to attend the second annual meeting of High Plains Millet Association April 10 in Sterling. Chris Stum, HPMA President from Kiowa County, will give an annual report. There will also be discussion of the future direction of HPMA and a Colorado Millet Marketing Order. The annual meeting will be held in the Hays Student Center Ballroom at Northeastern Junior College in Sterling. Registration will begin at 8:00 a.m. The program will start at 9:00 a.m. and conclude with elections of HPMA directors before noon. Refreshments will be provided. Registration is freee. Attendees may register at https://www.eventbrite.com/edit?eid=59713036299or at High Plains Millet Association, Inc. Attendees may also register on-site. HPMA was organized in March 2017 with a mission "to provide sustainability to the millet industry through research, production and marketing." Colorado ranks number one in millet production in the U.S. with average production of 6,335,889 bushels valued at $23,009,944 annually.